RARE OPPORTUNITY to live your life of luxury in this beautiful home adjacent to the Denver Botanic Gardens & just 1 block from Cheesman Park! LOWEST PSF IN A 1 MILE RADIUS! Over 6,250 sq. 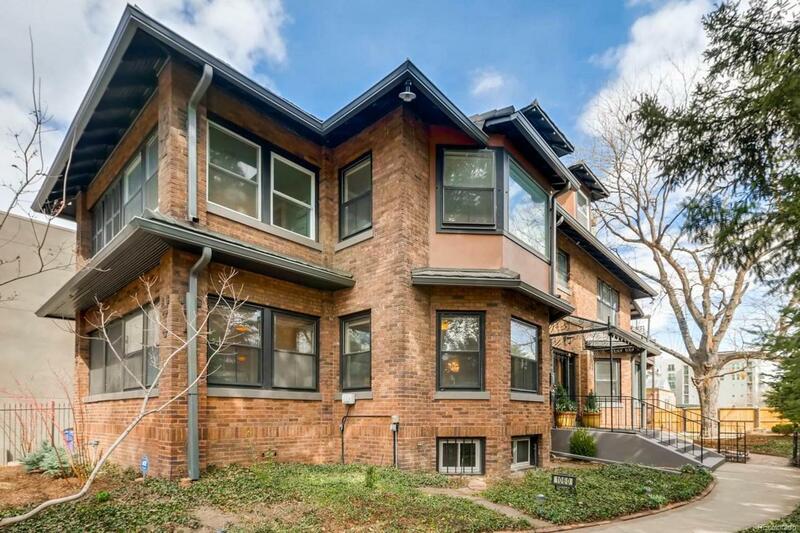 ft. of living space provide enormous flexibility-use it as 1 large single family house, a house w/ a mother-in-law/AirBnB/rental suite in the basement, or turn it into 3-5 unit income property, bed & breakfast, art studio, or office (contact City of Denver for info). Gorgeous open main floor kitchen w/ double oven, granite counters, & stainless steel appliances. Huge living room, multiple sun rooms, & beautiful hardwood floors throughout! Full additional kitchen/laundry in basement. You'll LOVE the second story deck overlooking the Botanic Gardens! Stone coated steel tile roof installed just 3.5 years ago. 2 car garage w/ 2 additional off-street spaces. Bromwell/Morey/East! There are only 7 Denver houses that back to the Botanic Gardens. Schedule your private showing today! Buyer to verify all info.